What’s better than a healthy meal? A healthy meal that’s easy to make, tasty AND portable. Here’s another installment in our ‘lunch salads to go’ series. 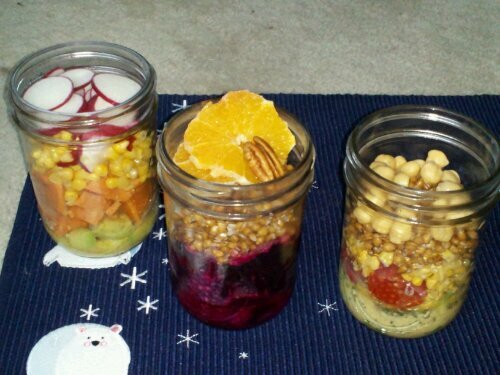 Assembled in a mason jar, layered so the dressing stays on the bottom until needed. Substantial enough to hold you over until dinner time, and when you mix the avocado with the citrus dressing first, the salad can be prepared ahead and will keep for 3 days in your fridge without turning brown. 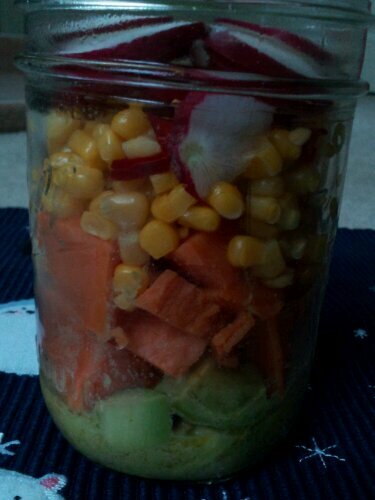 Toss shallots and avocado with the citrus dressing, then layer into the glass jar, followed by sweet potato, the corn, the hot pepper (if using) and finish with the sliced radish. 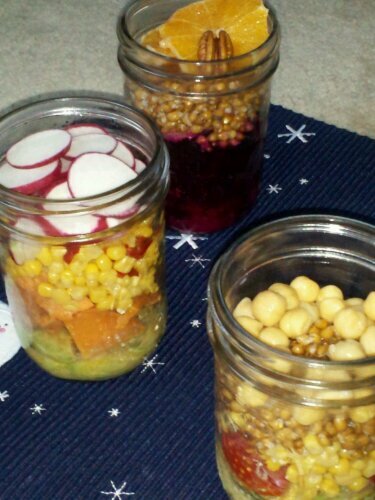 Store in the fridge until ready to use, then shake the jar until the dressing mixes throughout, use a fork, eat right out of the jar, or invert onto a plate.